In a recent post about the deaths of celebrities, I referenced Romans 8. As I indicated there, that chapter opens with a fact/promise and closes with another one. These promises are for the believer, the person who has placed their trust in God in Christ based on what He has accomplished on our behalf. Since that post was published, others have died and have stood before God, including eclectic rock musician Prince and country singer Kevin Sharp. Prince was only 57-years-old and Sharp was 43. These deaths are a bit shocking to most because they are rarely expected. In fact, I would venture to say that no one is ever truly expecting death except those who are in the throes of an illness that is known to lead to death. Even then, most after learning of their illness, promise to do all they can to overcome it. Some do, but most don’t. Too many people are killed or die without ever really seeing death coming at them (or they toward it) until the last second or two of their life. Before they may even realize it, they are gone from this life and enter eternity where they are met with a scene that for most, is truly unimaginable. They are there to be judged (Hebrews 10:31). If they have placed their faith in Jesus, it will be confirmed to them that He paid the price for their sin. Because of that, they will never experience any portion of God’s eternal wrath. For those who leave this life without ever trusting in the salvation provided to us by Jesus, they will learn that the faith they placed in their own effort and merit is simply not good enough. They will also learn that they will spend the remainder of eternity experiencing God’s wrath. The very thought of it is horrifying, yet many to most who leave this life will learn their terrible fate after they have left this life. As I stated previously, I cannot fully imagine how brutally eye-opening that will be as they stand before God, who alone is Judge and Jury. Does that not pain you? But what I’d like to focus on in this short series is for Christians, for those who have come to trust Jesus in this life for salvation that begins now, but culminates in the next life. We enter into that relationship with Jesus by faith. It is that faith that opens the door to God in Christ and says “Yes! Save me from myself and hell!” He does so once He sees that we actually do believe that Jesus paid the price for our sin. Romans itself, in its entirety, is a book that in all likelihood, surpasses others in explaining how pitifully weak man is in being able to help himself out of the predicament that he has gotten himself into, through the fall. Paul spends much time developing the narrative and presenting the truths – one after another – that proves beyond doubt that man, beset with sin, is incapable of saving himself. It doesn’t matter whether we are referring to Jew or Gentile, male, female, slave or free. All are in the same boat and that boat is sinking. The only survivors will be those who trust not in themselves but in Someone outside of themselves to save them from the wrath that is to come. Romans 7 concludes with the question, “Wretched man that I am! Who will rescue me from this body of death?” (Romans 7:24) Paul does not leave us hanging, but instantly responds with “Thanks be to God through Jesus Christ our Lord! 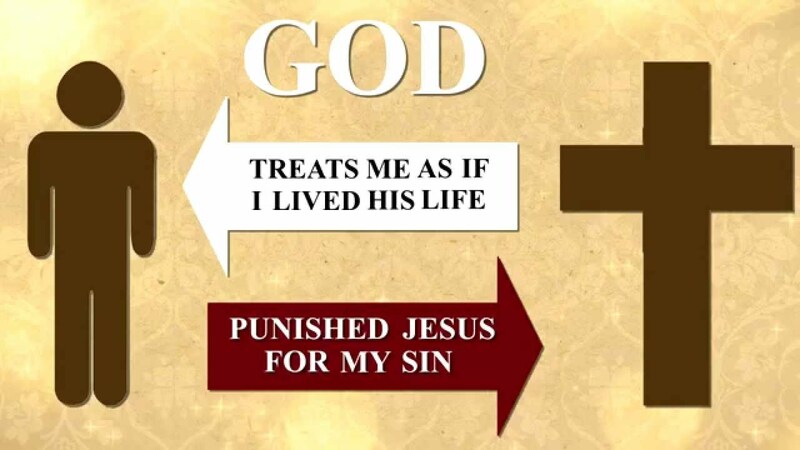 So then, I myself serve the law of God with my mind, but with my flesh I serve the law of sin,” (Romans 7:25). Paul then moves onto what Bible translators have decided is chapter 8 of Romans and breaks things down, carefully explaining the benefits of being “in” Christ (being saved), what that means to us in this life and in the next. Let’s look at the first couple of verses of Romans 8. The very first word – “therefore” – exists to show us a connection with what the apostle Paul has just finished writing from chapter 3 of Romans, up through and including chapter 7 of Romans. Because of what Jesus has accomplished on our behalf – through His life, His death, and resurrection – those who place their trust in His finished work are no longer under God’s condemnation. While we can somewhat appreciate this intellectually, the truth is that it is very difficult to comprehend viscerally, or where we actually live, where the rubber meets the road. This is part of the problem with theology in and of itself. It is somewhat easy to learn about God and His truth from His Word. We can fill our heads with all sorts of knowledge and while it certainly needs to start there, it cannot end there. It must be allowed to work its way out into all aspects of our life so that we truly live the life we are meant to live now. This can be exceedingly difficult to do because our thinking (or lack of it) can get in the way, yet it is what each Christian must pursue. We’ve all been there, haven’t we? We spend lots of time studying Eschatology (study of end times) as a for instance or some other theology. We read through His Word, compare and contrast the various aspects of Eschatology and eventually arrive to a conclusion that we believe settles the question for us and is in line with God’s Word. We then make it our job to “correct” others whom we believe to be wrong about aspects of Eschatology. We do this for all sorts of reasons, but it can often become one of the main things we do even ignoring Christ’s command to fulfill the Great Commission. Arguing about Eschatology is more important, right? The big question is whether or not all of that head knowledge has brought us into deeper fellowship with God? It certainly can do that, but there is no guarantee that it will do that. It might be better to spend more time submitting ourselves to His Word in areas that help us focus on living the life of a Christian in a way that actually brings glory to Him. I believe this is exactly what Paul is trying to help us understand throughout the book of Romans and in chapter 8, he seems to bring it to its climax with astounding revelations that are very deep and not easily absorbed. Think of this: our faith in Jesus brings us out from underneath God’s condemnation. Because we believe that Jesus’ sacrificial life and death completely fulfilled the righteous decrees of the Godhead, and that God’s wrath was poured out on Jesus as He hung on the cross, we will never experience that wrath. It is a difficult truth to fully absorb, isn’t it? We also need to understand that the phrase “no condemnation” is not the same thing as “no judgment.” Paul tells us elsewhere that all Christians will be judged. We call this the BEMA Seat of Christ, when each believer will give an account of how they lived in this life. Anything that burns up in His holy fire – wood, hay, and stubble – will prove that those things from our lives will have brought Him no glory (cf. 1 Corinthians 3:12). The point is that our faith in Christ releases us from God’s wrath (not His judgment), which culminates in an eternity where the person is fully, completely, and with finality separated from God. Paul tells us the truth that the Christian need not fear this. There is now (present tense, ongoing), no condemnation for the Christian. We will never be condemned by God. Some actions, some of our words, and thoughts will be judged (and even condemned), but we – as people – will never experience His wrath; His condemnation. We need to focus clearly on this. We need to allow this expansive truth to settle into our hearts and lives. We need to spend time dwelling on it, allowing God the Holy Spirit to plant its truth wholly into our heart and lives. Because we will never experience God’s condemnation, we should be free of that fear. Christians, unlike the unsaved who enter into eternity with the expectation of receiving God’s judgment, should never experience this same fear. We are free from condemnation because of our faith in the One who stood in for us on the cross. He took the penalty for our sin. He made Him who knew no sin to be sin on our behalf, so that we might become the righteousness of God in Him (2 Corinthians 5:21). God died so that we might live. That is truth that we need to absorb and live by. Entry filed under: christianity, eternity, Political Correctness, Politically Correct, Politics, Posttribulational Rapture, Pretribulational Rapture, rapture, Religious - Christian - End Times, Religious - Christian - Prophecy, Religious - Christian - Theology, salvation. Tags: life in the spirit, no condemnation, Romans 8.